Conventional wisdom says it makes sense for multi-unit franchisees with food brands to stick with food as they expand. Ahmed El-Hawary doesn't see it that way. 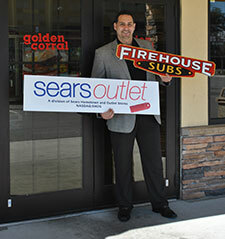 El-Hawary, who worked in his family's restaurant as a youth, operates four Firehouse Subs. When he opened his first 12 years ago, he was the brand's youngest franchisee. 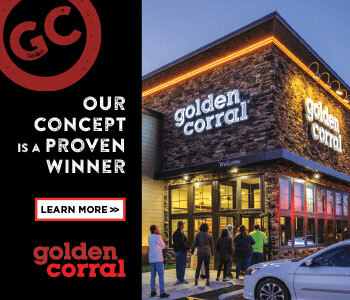 Last December, he opened his first Golden Corral restaurant, a $3.5 million project built from the ground up. But when the 34-year-old--who also worked in his father's business selling glass doors, screens, and garage doors--had the opportunity to acquire eight Sears Outlets stores, he didn't hesitate. "It was an opportunistic choice. We're the third franchisees to come in and do the Sears Outlets, which are now outside the Sears brand but still have that strong name behind them," he says. "Most of what we do is sell appliances at 20 to 70 percent off retail. We don't own the inventory. Sears owns it and gives us commission on sales. It's a great business model--an old company with a new business model. It's been exciting and the fastest-growing segment in our company. To build Golden Corral restaurants takes more time because of the large footprint, so those won't come on as fast as the Sears Outlets. We'll continue to grow our Firehouse brand, which is a great brand with great guys, as opportunities arise." El-Hawary was born in Cincinnati to Egyptian parents and grew up in Merritt Island, Fla. He says he doesn't see himself as a restaurateur. "I'm a businessman. And once you understand the fundamentals of business, it doesn't matter if you're selling food, appliances, or widgets. It's all the same: You take care of your customers, pay your bills, and hope to make a little money at the end of the day." He says his three different brands are extremely different from one another. "One is a buffet restaurant based on volume, the other is a restaurant with an a la carte menu with a totally different volume, budgets, and core marketing, and our third brand is a retail franchise. The differences don't matter." El-Hawary, who earned a degree in business management at the University of Central Florida and bought his first piece of residential real estate when he was 21, says he's always liked business--especially acquisitions--and real estate. "I had an entrepreneurial family, but as long as I can remember, I've always been interested in business. When you like something, you focus more energy on it and become successful," he says. When people ask him how he juggles the three brands, he says, "It comes down to Business 101. Ask yourself: What's the game plan? Then you have to get people to understand your concept and to believe in it. And you're held accountable for it. The beautiful thing about franchising is that we have all these franchisors and franchisees out there that can help us benchmark how we're doing against them." El-Hawary, owner and CEO of Zeal Group in Orlando, says that his businesses are doing well financially, but he's reorganizing the company to ensure that procedures throughout his brands are consistent. His best advice for would-be franchisees? Network and attend conferences with other franchisees, and embrace social media and technology in growing their business. "You have to get used to change, which is constant. Whatever you're doing is going to change, and you have to go with it." I worked in my family's restaurant growing up. Playing competitive football and owning my first real estate property at the age of 21--a duplex I lived in and then leased. Opening my first business with Firehouse Subs at 23, as their youngest franchisee at the time. I don't spend much time thinking about this. There are so many younger than I who have accomplished more. But I'm extremely blessed, and I work hard. I guess my biggest accomplishment was when I opened my Golden Corral on Dec. 12, 2013. I had no idea I'd one day build a $3.5 million project from the ground up. All my mistakes were lessons, just higher-priced than others. Getting involved with Firehouse Subs when they had only 30 stores. These guys are humble and smart. They really took a chance on me. I wish I had gotten involved in networking and attending business conferences earlier in my career. Now I go to Las Vegas every year for the Multi-Unit Franchising Conference. It's inspirational to gain exposure to so many different people with different backgrounds and stories about how they overcame obstacles. 65 hours, but always reachable as needed. Reviewing the status of current businesses, communicating with the leadership team, and visiting the stores. Spending time with family and friends. Watching football with friends, going to the Super Bowl, shooting at the gun range. Believe it or not, I enjoy talking about business and that whole network atmosphere. Not as often as I would like (football injuries). Business and industry magazines and publications. Set long-term goals and outline the steps necessary to achieving them, then work hard as heck every day to get there. If done properly, there is no limit to what you can accomplish. To progress every day and just the fear of failure itself. I enjoy evaluating risk/exposure, mapping out a plan, executing, and dealing with the consequences or the rewards. Not very well right now since we're in the process of reorganizing the business (not a financial reorganization, just making sure all our procedures are consistent throughout the different brands). December 2012 to Egypt to see family. I still have plenty of aunts, uncles, and cousins there. Warren Buffett. I don't consider myself a restaurateur--I'm a businessman. So I admire the fact that he has consistently invested in an array of different companies and made money in all of them, and that he has been able to own companies and operate them through different people. He's a master of that. The biggest thing, and an ability I would love to possess, is that he sees value in things others don't. Set high standards and you will get excellent results. Ask yourself how you can get it done first. Think outside the box. See value where others don't. Select high performers and empower them. Becoming more and more productive every year while maintaining growth. Intense, high-energy, fair, and consistent. Build better back office infrastructure and have a good work/life balance. I welcome innovation and feedback. However, I expect that our procedures are consistent throughout the different brands. I'll give you three: brand marketing, buying power, and operational systems. Consistent products at the greatest value possible. We constantly change marketing strategy within the brand guidelines to achieve the desired results. It's becoming the fastest-growing marketing vehicle. You either get on it or you will be left in the dark. Hire as carefully as possible, and fire based on quantifiable, indisputable information. Keep in mind that our employees are also our customers. My constant frame of mind is to sharpen the saw. Getting the right people on the bus is equally as important as getting the wrong people off the bus. If I'm called in on something like this, I like to coach them and see how they handle it. You have to get to the root cause of the problem. I believe in helping people. Everybody has to feel they fit in. If they don't, they'll cause problems. Most people want good leadership and communication and they want to know what is expected of them. I'd say there's 10 percent who do not want to follow the rules. Most people, when treated with respect, understand that even though this may not be exactly what they will be doing in the future, they can learn basic skills of responsibility and accountability that will help them in the future, whether they're working for me or for a Fortune 500 company. To grow quality assets and build a more streamlined back office infrastructure. In 5 years, I'd like to have 50 units. In 10 years, I want to have a strong company that is more profitable than it was in the ninth year. Since people are more careful about their spending now, it's even more important to provide customers with the greatest service, so the perception of value is greater. Watch every penny and examine each line item on the P&L. Based on last year's numbers, trends of market, industry, and brand. Yes, banks are seeking good, sound loans. We haven't used private equity. We normally use local or regional banks, as they understand our needs and are able to accommodate them. We give management the opportunity to earn more income by increasing revenue and/or profitability. It is always challenging and difficult, but it is an industry problem that we all deal with. Inevitably, the increased costs are unfortunately reflected in the end price. We are working on some new programs that will recognize performers weekly and monthly. I am currently in growth mode and not considering any exit strategies at this time.